Hitler-geburtshaus, Braunau Am Inn, the birthplace of Adolf Hitler is situated at Braunau am Inn, the town of upper Austria. This is the notable historical part of the city in which the visitors can explore breathing history. There is a memorial stone in front of the house which has been placed in memory of Hitler. This is a great place which allows visitors to experience the life history of Hitler along with the way through which he used to lead his life. Make your visit suitable to your interest, use Braunau Am Inn trip planner for personalization. You can add cozy hotels in Braunau Am Inn like Kirchberger Hof, Gasthof Wimmer WeissbrÃÃƒÂ¤u and Hotel-restaurant Zillners Einkehr. Chalk out the best way to discover the city with Braunau Am Inn vacation packages. Check out various modes for how to reach Braunau Am Inn. Love this? Explore the entire list of places to visit in Braunau Am Inn before you plan your trip. Fancy a good night's sleep after a tiring day? 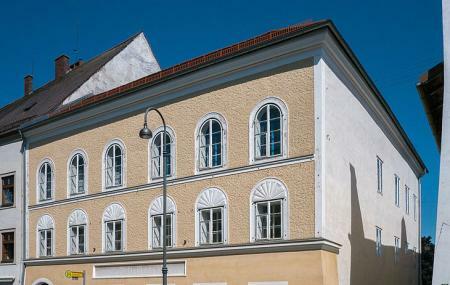 Check out where to stay in Braunau Am Inn and book an accommodation of your choice. Interesting place to visit. Clean and nice town. People seems to be friendly and talk good English. It is a very interesting place.After the house go to the church and the crypt to see how the inhabitans of this city has lost a lot of blood in the 2 big wars,and also gave place to ethno-german refugees from former Yugoslavia in the end of WW2.There are also some signs around in the city center telling of the citys past.The area is very beautyfull and it looks like there are many bike-tourists.I would recommend the area for people who wants a relaxed time in austria. BTW: Its easy to miss the house and just walk by without noticing it.No big signs. I went there Just to see this place and I loved it. Local People are Sick of tourists going to Braunau for visiting Hitlers house when they say they have other things to show (not really). I hope they dont burn it down. No Matter what, this is a big historic place that needs to be taken care of. To imagine that long time ago the most famous man on earth was standing is something you cant tell but only feel. Unimpressive and vague. Wouldn't recommend.